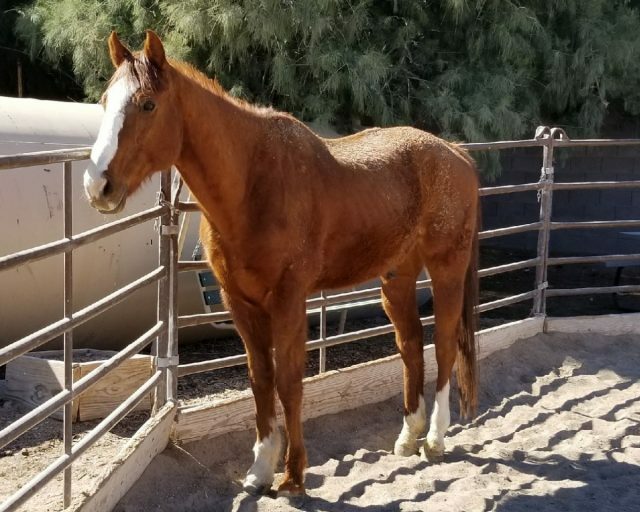 Dublin was one of three horses confiscated by Animal Control from a hoarding situation whose owner never came forward to claim. He arrived to L.E.A.N. in Feb 2018, underweight and overdue for the farrier. 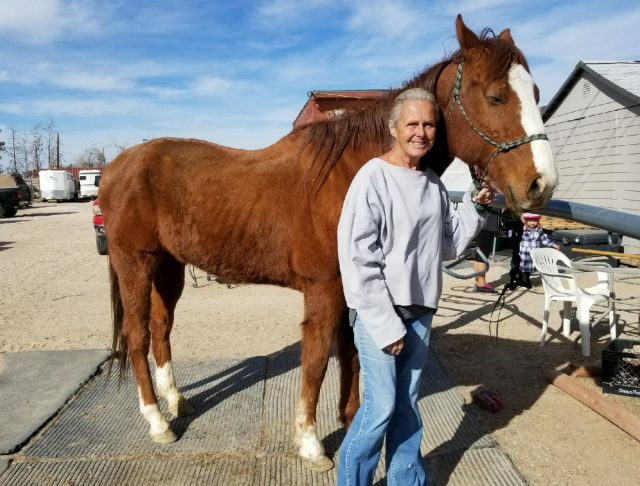 He was fostered at the Double Y Ranch where veteran L.E.A.N. foster Cynthia Eddington took great care of him, with help from L.E.A.N. caretakers Bear and Paula Espolt. 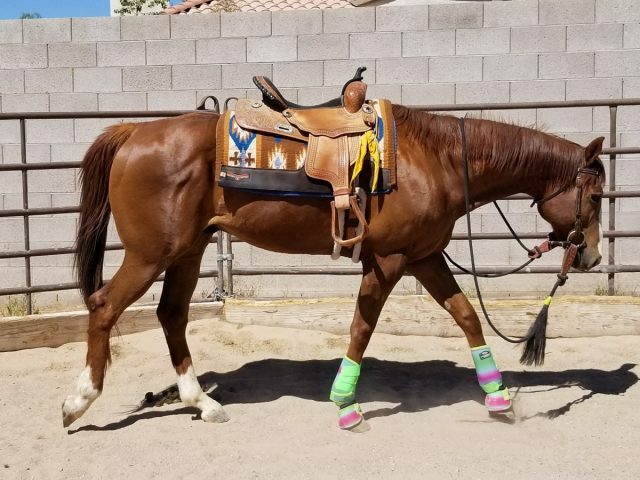 Three months after rescue, handsome Dublin had filled out nicely and was starting his saddle assessment. 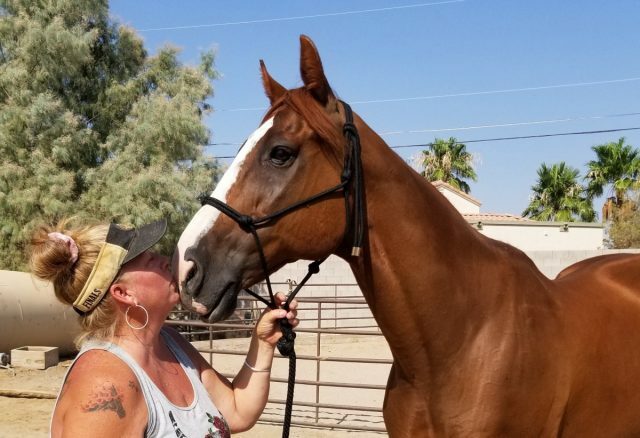 It only took 2 more months for his caretaker Paula to realize that Dublin was her dream horse, and wasn’t going anywhere! 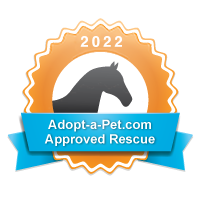 She formally adopted Dublin in July 2018.